Nissan Rogue Review: For having such a rebellious name, the Nissan Rogue is awfully tame. This vehicle is civilized and predictable, following the same path of countless other crossovers that straddle the wide line between sporty and practical. Like other crossovers it's designed exactly like a normal family car, only taller and more aggressive looking. The result is a vehicle that, while it looks like an SUV, it actually drives far better than a truck-based beast. If you get a Nissan Sentra, and feed it protein shakes, you end up with a Rogue. You can get the same effect by taking a Nissan Murano, and shrinking it in the drier. But calling the Rogue a small crossover doesn't tell the whole story. After all today's crossovers come in all different flavors, from the sports-car-like Mazda CX-7 to the more bland and practical Toyota RAV4 and Honda CR-V.
Where does the Rogue fall in? It slots mid-way between the CX-7 and the RAV4, making it far more fun to drive than the Toyota but not nearly as harsh as the sporty Mazda. It's also smaller than the average crossover, with only two rows of seats, which contributes to its nimble feeling on the road. Cargo space is generous, but knee space is not. Power comes from a 2.5-liter four-cylinder engine, a surprising choice given Nissan's penchant for throaty V6 powerplants. The four-banger pulls just fine though, routing 170 horsepower through a continuously variable transmission. On the downside gas mileage isn't impressive for such a small crossover. It's rated for 22 mpg in town and 27 mpg on the highway. For comparison, the bigger Toyota RAV4 with three rows of seats gets 28 mpg on the highway. I think Nissan could do better with its zippy little Rogue. Fortunately, Nissan makes up for it in the styling department. The Rogue is a handsome car, although not one that will draw too much attention to itself. It's contemporary and sleek, looking better in some ways than its bigger and more expensive Murano sibling. Inside, the materials and construction aren't quite as good as the new Altima Coupe, but it's nice enough. The Rogue has an honest interior, one that doesn't try to dress itself up in knock-off wood and metal. It's straightforward, clean and simple, which I like. In fact, that's a good way to describe the entire vehicle. It's straightforward. It tells you exactly what it is, stylish, practical and fun transportation, without trying to put on airs about providing an "upscale lifestyle" like so many of its competitors. It's simply a good, solid car. And that's probably why it's one of the few vehicles to start 2009 with a sales increase over last year. What was tested? 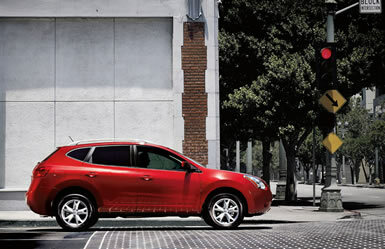 The 2009 Nissan Rogue SL with a base price of $21,810. Options on the test car: The Premium package at $1,930, the moonroof package for $950 and the portable navigation system at $540. The total MSRP price as tested including the $780 destination charge: $26,010. Why avoid it? Gas mileage could be improved, and it doesn't offer a third-row seat like many of its competitors. Why buy it? It's got impressive style for a low-cost crossover, with a good driving feel that splits the difference between sporty and comfortable. It has real personality. 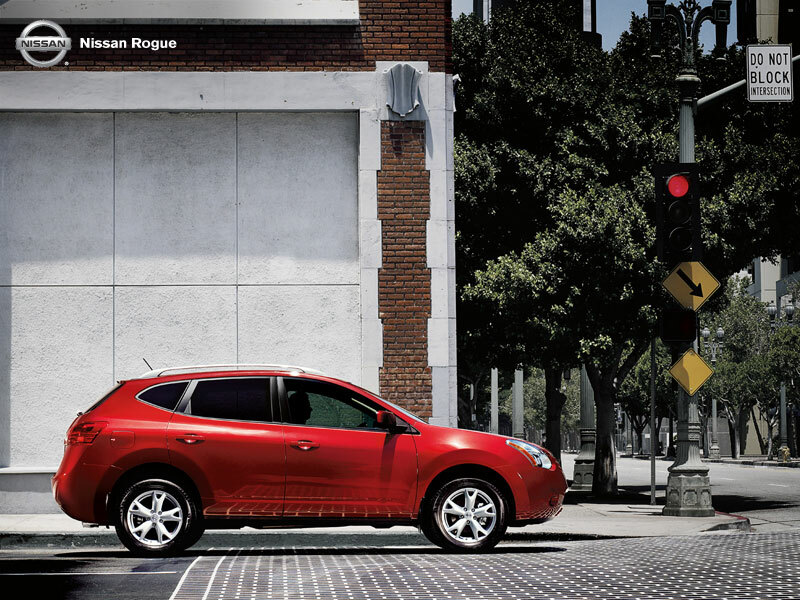 Bottom Line: The 2009 Nissan Rogue looks a lot like the bigger and more expensive Murano. This car-based crossover vehicle offers the style and flexibility of a small SUV with the good driving feel of a sedan. The Rogue doesn't have a nice interior as the new Altima Coupe, but it's nice nonetheless and it has two rows of seats and a spacious cargo area in back.